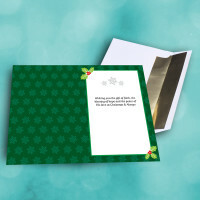 An elegant, festive Christmas card to share your holiday wishes. 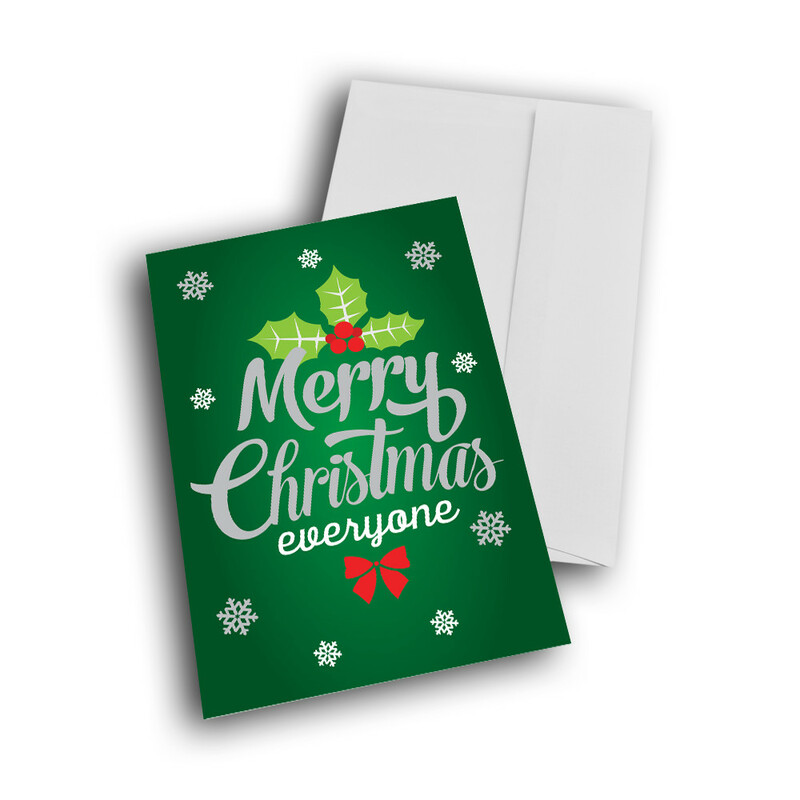 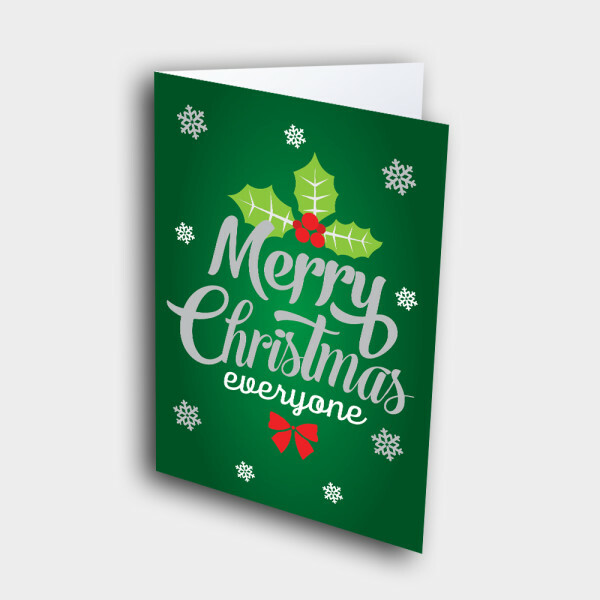 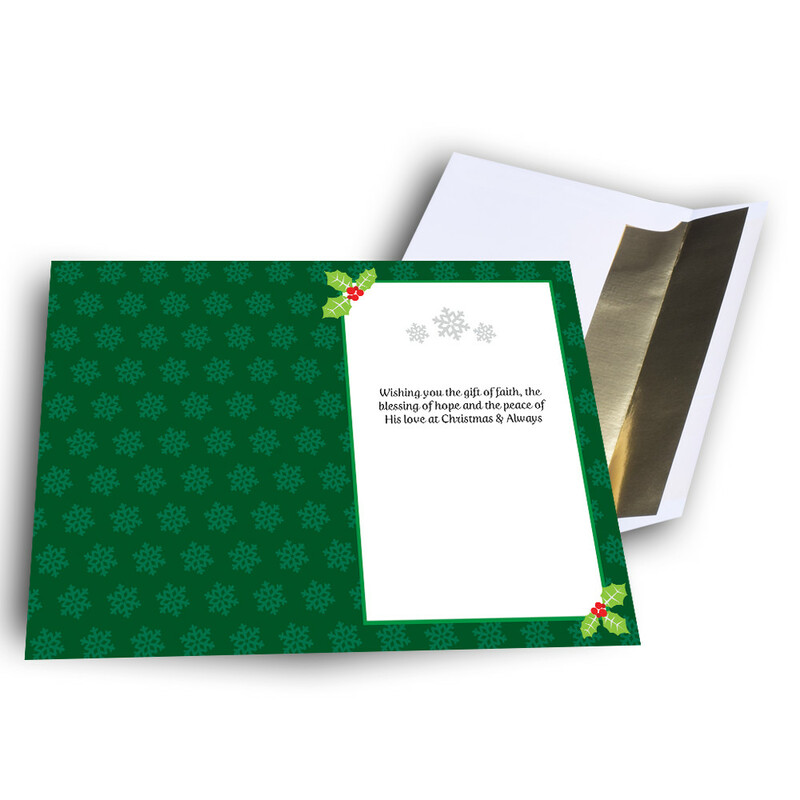 This elegant card is perfect to send Christmas greetings for both customers and friends.The deep-green background is adorned with detailed snowflakes surrounding the fancy Christmas greeting, complete with a bow and holly. 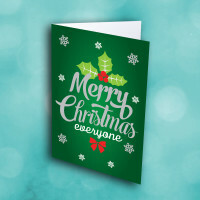 The inside is patterned with more snowflakes and holly, as well as a warm message. 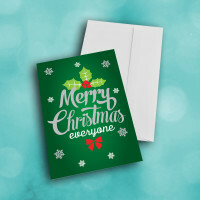 Customize this message to make this a unique holiday card.